Inspiration can strike anywhere. 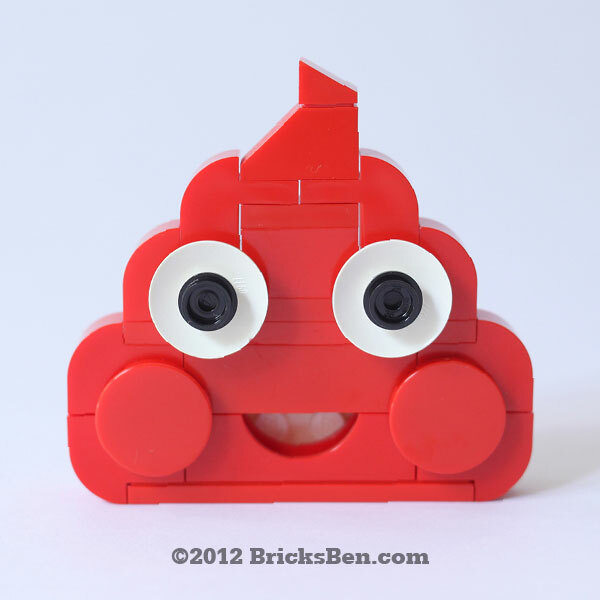 You’ll recognise this if you use Whatsapp – it’s the happy poop emoticon! With this being the festive season, we thought our red version worked pretty well. Brown poop coming soon! More Brick-a-Boo: Balloon Dog, Ladybird, Mini Castle, Origami Crane, Pencil and Shuttlecock.